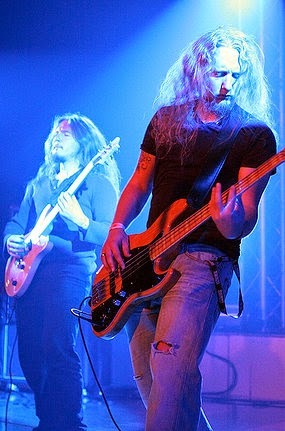 Stone Circle formed in 2004 with Joe Ashwin (Lead Guitar/Vocals), James Pearce (Bass) & Sam Hill (drums), the lineup was then completed when Tom Skelton (Rhythm Guitars) joined in 2005. 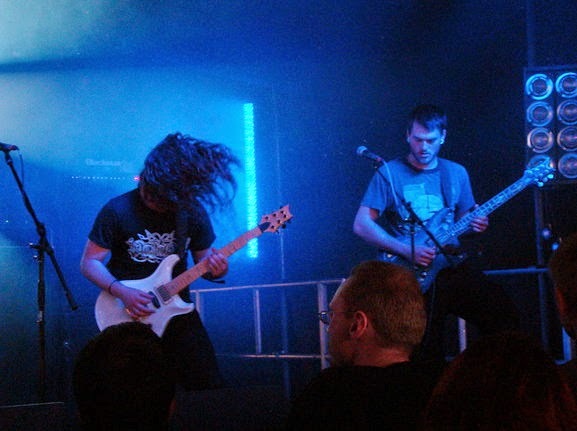 Over this time the band developed their sound into the progressive metal that they play today, inspired by Opeth, Katatonia, Morbid Angel, Gojira, Amorphis and more. 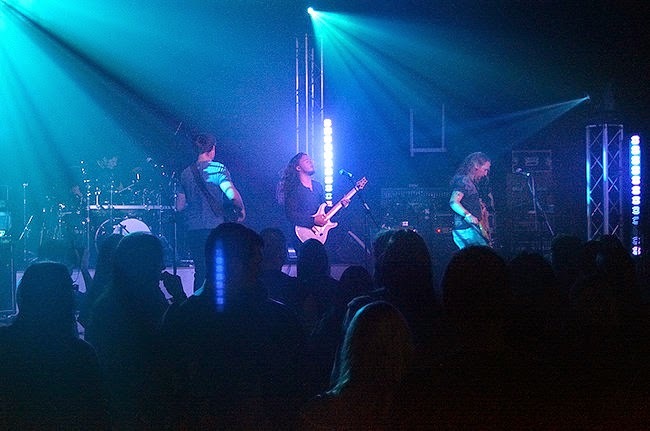 The band are back to play round two of the return of MammothFest having played at the first one back in 2010 and they went down a storm with their epic progressive metal, so are not to be missed this time round! 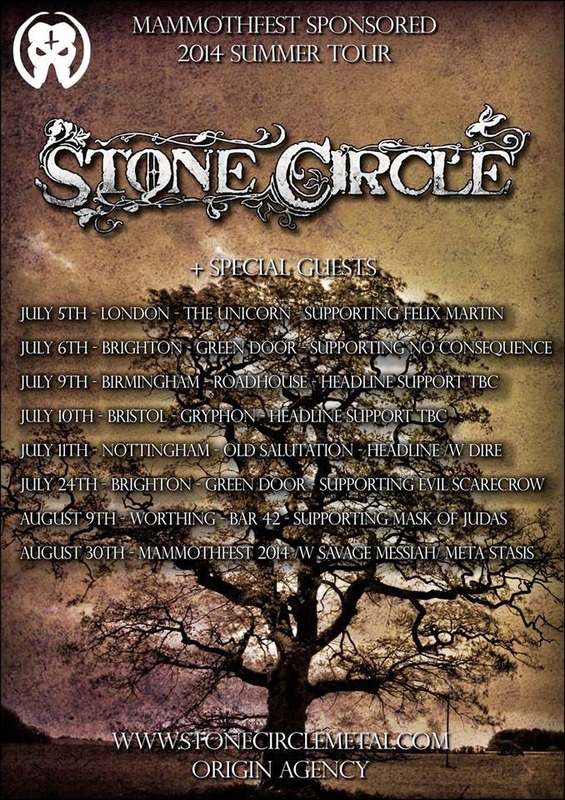 If you can't wait to see them at the main festival you can luckily also catch them on their our tour which is sponsored by MammothFest. The tour begins this Saturday 5th July at The Unicorn in London, supporting Felix Martin (14 string guitarist) both acts of which the next day on Sunday 6th July are playing at the biggest MammothFest warm up show so far in a MammothFest & Tech-Fest UK collaboration show taking place at the actual MammothFest event, at Green door store in Brighton! To wet your hungry savage appetites for the Main event on the 30-31st August!